Law Enforcement Service Systems Inc.and Civil Service Success 3 session Suffolk County Police Sayville Weekday Evening Location. 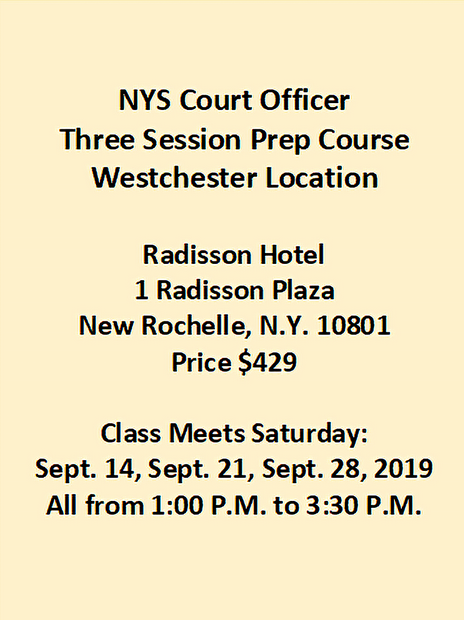 The full tuition for this class is $459.00 the deposit of $179.00 is paid upon registration and the balance of $280.00 is due at the first class. 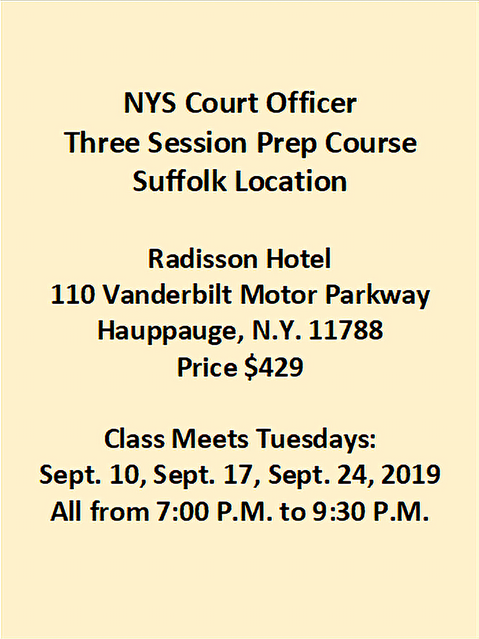 Class meets Wednesday Evenings from 7:00 P.M. to 9:30 P.M. at VFW Hall, 400 Lakeland Avenue, Sayville, N.Y. 11782 on May 8th, May 15th, and May 22nd, 2019. 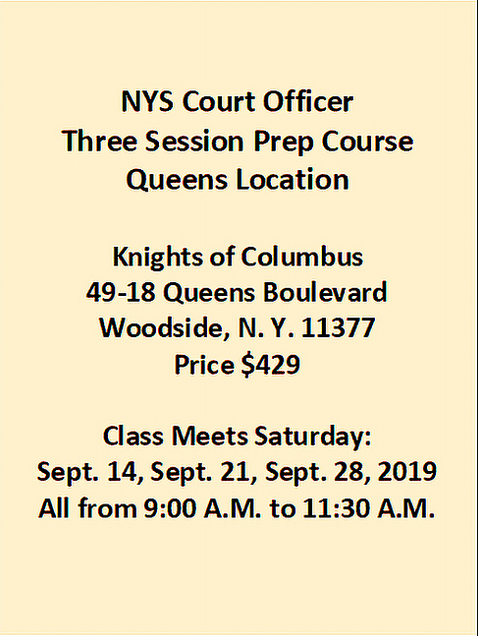 Our class is a three session preparatory course to help prepare you for the Suffolk County Police exam. The class will cover each section of the Suffokl County Police Exam. Our classes will also give you information on the entire hiring process including the background investigation, physical ability test, psychological evaluation and oral interview.